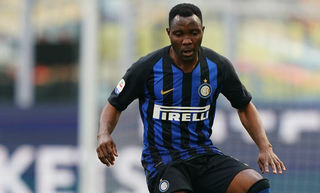 Kwadwo Asamoah was born in Accra, Ghana on 9 December 1988. As a full-back who can also play in midfield, he was first discovered during his time at Ghanian club Kaaseman, he was then bought by Liberty Professionals. In 2008, whilst playing in the Africa Cup of Nations, he was signed by Bellinzona before then being sent on loan to Torino. The summer of 2008 saw Udinese sign him on loan where he then scored his first Serie A goal on 19 April. His next step was a move to Juventus in July 2012, with whom he wore the No.22 shirt and he won six successive Scudetti, four Coppa Italia trophies and three Supercoppa Italiana titles. He stayed with the Bianconeri until the end of the 2017-18 campaign, with his contract then running out on 30 July 2018. 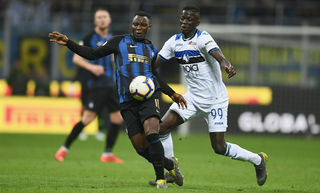 He subsequently joined Inter as a free agent on 1 July 2018, signing a three-year contract with the club. With Ghana, he has played in two World Cups in South Africa in 2010 and Brazil in 2014. 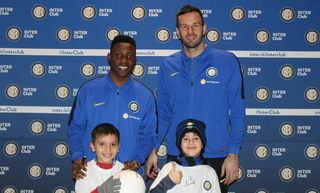 Asamoah: "We're all available for the team"
Asamoah: "We'll fight for qualification at San Siro"